Starfleet Personal Log: TAGAP - The Apocalyptic Game About... PENGUINS?! TAGAP - The Apocalyptic Game About... PENGUINS?! As far as Jouni and PDT's concerned, we adore penguins - but testing experimental military stimulants on animals like them is SICK enough stuff, and this game, boils and gargoyles, is a worst-case-scenario of pyrotechnical sorts. A short time ago, a certain military supplier has succeeded in connecting a living brain into a computer. This was done with the aid of Dr. Glowenko's design-drug, TAGAP (Tissue-Augmenting, Green, Addictive Pill). Glowenko then, without warning, went insane and decided to get his death-grip on the world with an army of (guess what?) cybernetic PENGUINS! 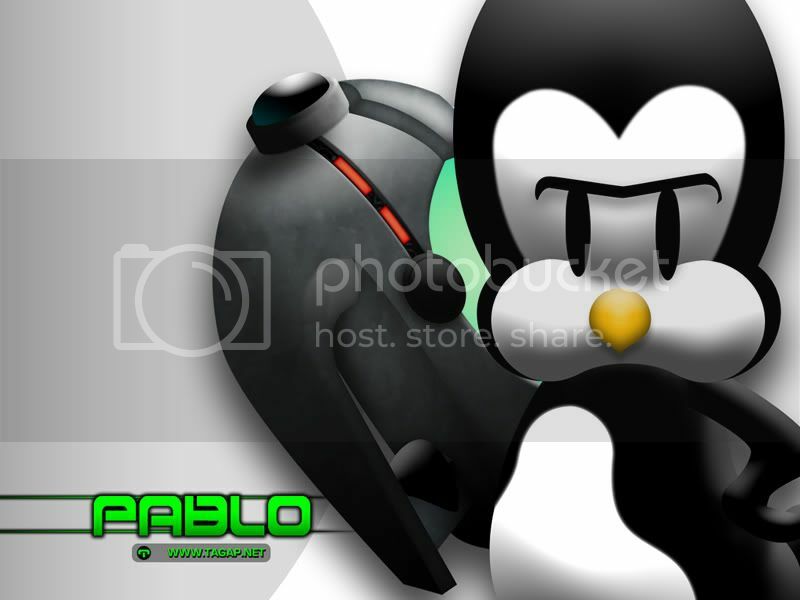 One of the penguins, codenamed "Pablo", wasn't too happy about being used in the "mad scientist" act and revolted against Glowenko, who soon decided to put a TAGAP-price on Pablo's head and sent his penguin army – led by the fearsome "Pedro" – after him. This is where YOU, as Pablo the Penguin, come into the world of TAGAP. TAGAP 2 - Meaner penguins, bigger guns and more pills! Aptly named Random Evil Pharmaceuticals (or REP for short) is the fabric that ties everything in TAGAP 2 together. While concentrating mainly on drugs and health care products, being a massive multi-sector, multi-national enterprise, REP has subsidiaries all around the world. One of those happened to be Glowenko Industries, the REP CEO's own pet contracted to create an invincible army of killer cyborgs. Unknown to the CEO, Dr. Glowenko (being the nutcase he was) abandoned the proper research and went on for a "penguin apocalypse". Their genius Dr. Glowenko going AWOL and solo, REP finds themselves left with perfected blueprints of a cyborg army... of penguins. Still eager to continue the project, but lacking a visionary leader able to adapt the technology for use with other species, REP restarts the project creating a new penguin army – and a new general, Primo. And when Pablo and Primo stumble upon it all, the game is on. And one more thing: this is why I LOVE indie, freeware games. I HIGHLY recommend TAGAP for all those freeware, sci-fi and action fans - includin' Soldat and Turrican ones... not ta mention the penguin-lubbers. Bejegyezte: CaptainLévai dátum: 7/20/2009 08:26:00 de.